Having heard stories about the massive kitchen at the Golden temple which feeds lakhs of devotees every single day, a visit was much pending just to witness the sheer scale of their operations and outstanding dedication of the sevadaars. Community service is epitomised by the Sikhs. 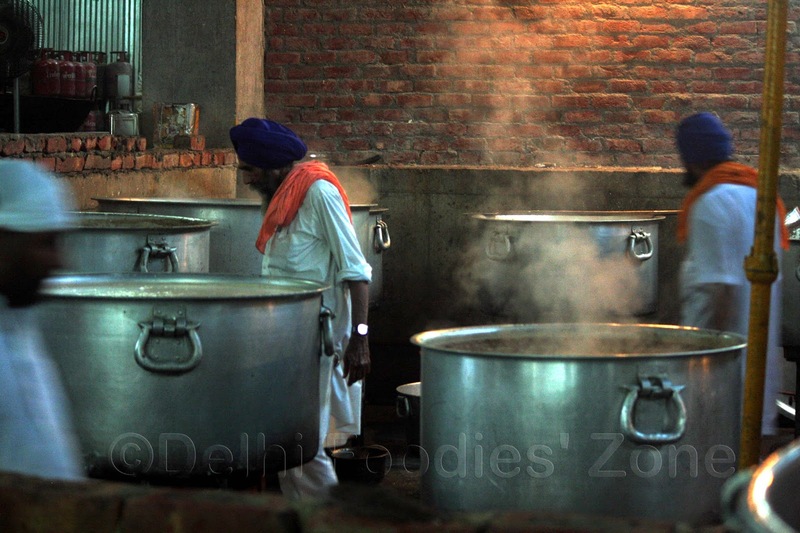 Skeets showcases the kitchen of the Gurudwara through her lens in this post. Have never seen so many utensils together at a place! 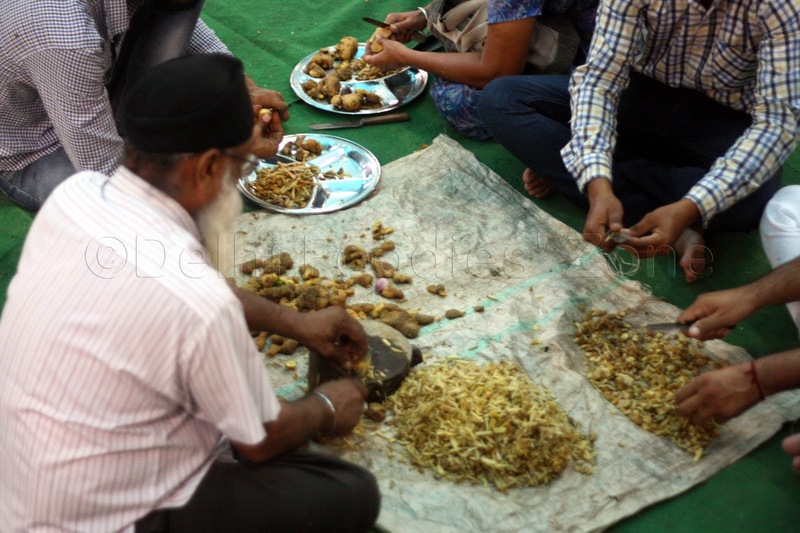 It was simply amazing to see how it all started from a few onions and then sacks of onions were undone to be peeled. 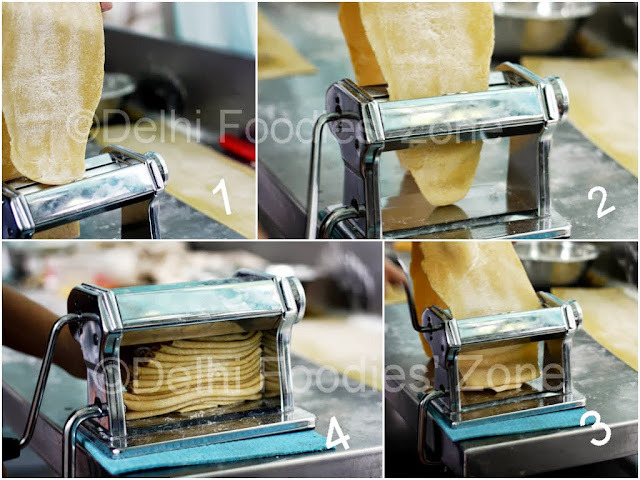 The automated Roti/Chapati making machine at the Golden Temple. Everything from the dough kneading to the rolling of chapattis and the final puffing/sekna is automated. These giant cauldrons at the Golden temple have curries for the day being prepared. 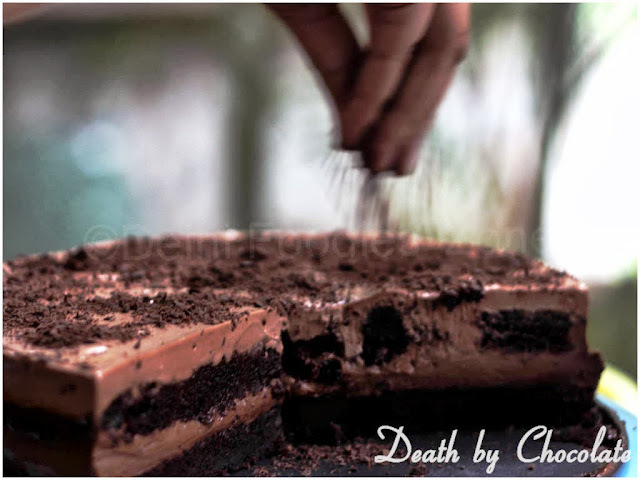 Two of them were just dedicated for making the yummiest morning tea ever. 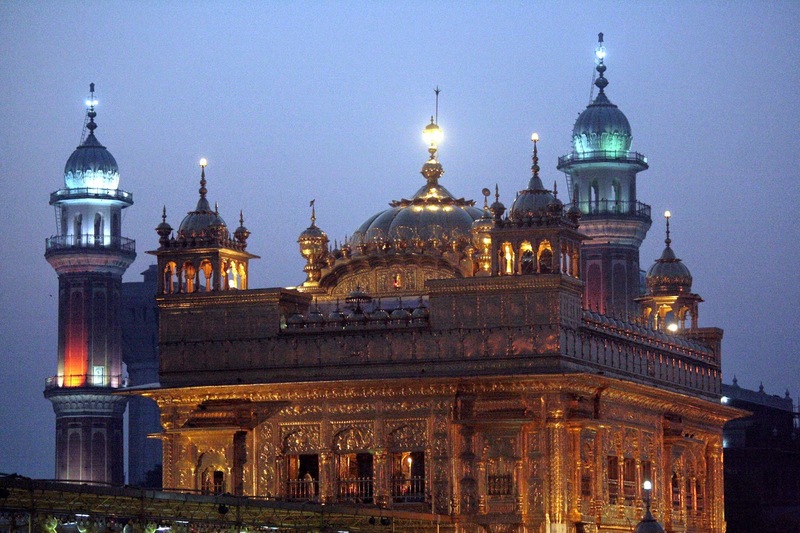 Read Part One of Amritsar unfolded. Family and friends call Skeeter a marketeer’s delight. A new product that hits the supermarket shelves has to be picked and tried by Skeeter atleast once. All these nudges from the family time and again led Skeeter to the idea that these products could be showcased on the blog too! 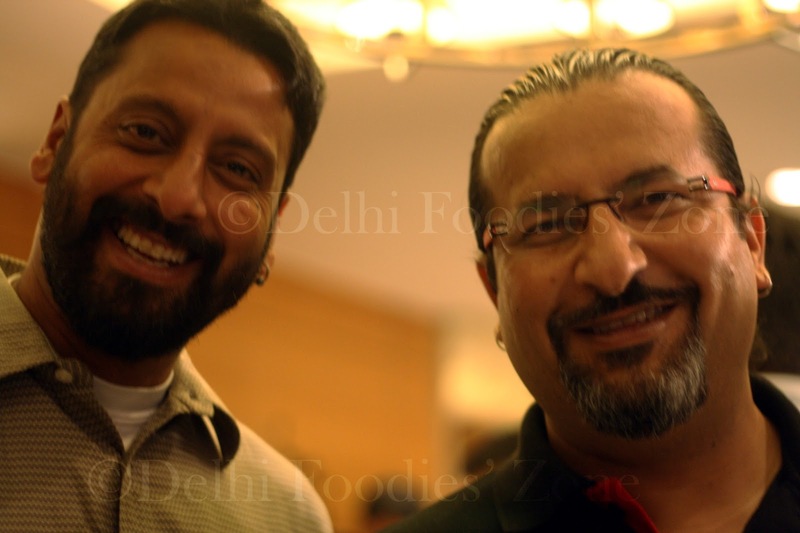 Hence launching Delhi Foodies’ Zone product reviews today. Here, Skeeter will showcase what she likes and what she doesn’t. Hope you will like reading such posts off and on. 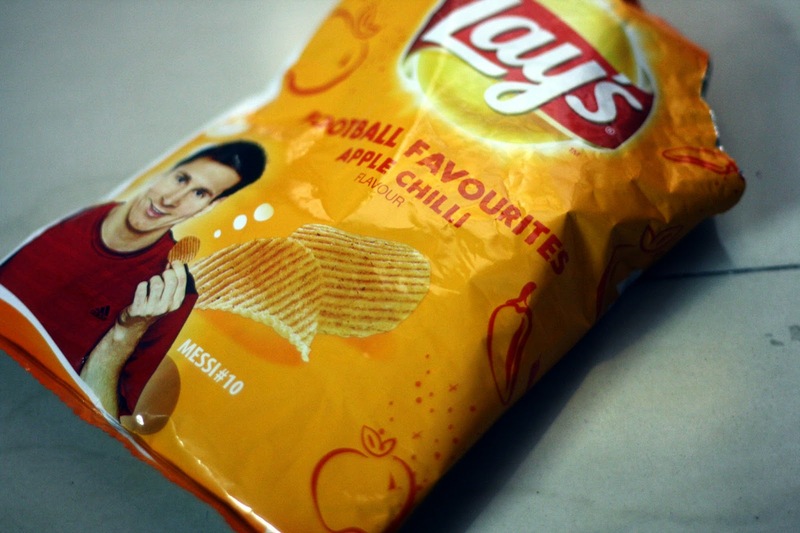 Skeets brings to you the delightful Lay’s Football favourites: Apple Chilli Flavour. It is one of the three limited edition flavours on offer. The other two being Cheesy Jalapeno and Tangy Herb. Skeeter is yet to try those. One bite of the Apple Chilli ridged potato crisps justifies the flavour(come to think of a thousand products whose tagline doesn’t match the taste). This one’s HOT with a strong hint of apple flavour (which the ingredients list reveals comes from the dried apple juice powder). It is tangy and yeah ‘No one can eat just one’ 🙂 Packed with a punch it gets a thumbs up from Skeeter. The mustard/deep yellow pack comes with football icon Leo Messi holding a chip and the doodles of apple and chilli make for attractive packaging. They are available in Rs 20 and Rs 10 packs of 52g and 26g respectively. Pick them up and munch on! P.S. 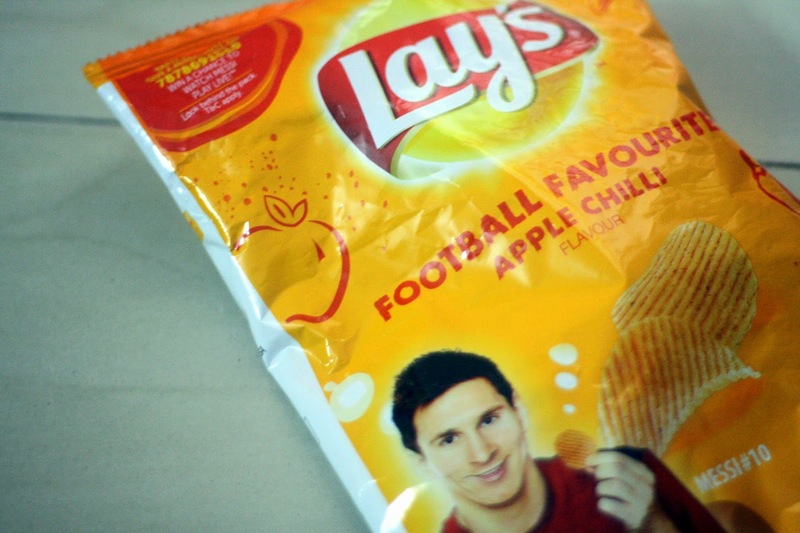 : One can vote for their favourite flavour and get a chance to watch Messi play Live! When Skeeter heard fab reviews from friends about a new ‘Dimsum’ outlet in GK 1, N block market, she trotted the trail and reached Dimcha (Dimsum + Yumcha=Dimcha). The place lives up to its name and has a Thai brother upstairs that goes by the name Dao. While Yauatcha may be the dimsum hotspot of the town right now, Dimcha is steadily climbing the ranks. The dimsums here are great and the fact that it starts getting busy by 8pm is but a reminder of its popularity. Skeeter has been to Dimcha only once and doesn’t really like to write about a place before she visits a place more than once, but Skeeter promises to add more to this post sooner than you think! The steamed Vegetable Chive dumplings (Rs 235) came first: Water chestnut, celery and chives seated in a green pastry cover and steamed to perfection. Two pearls of pomegranate topped this dimsum and gave it a rather elegant look. 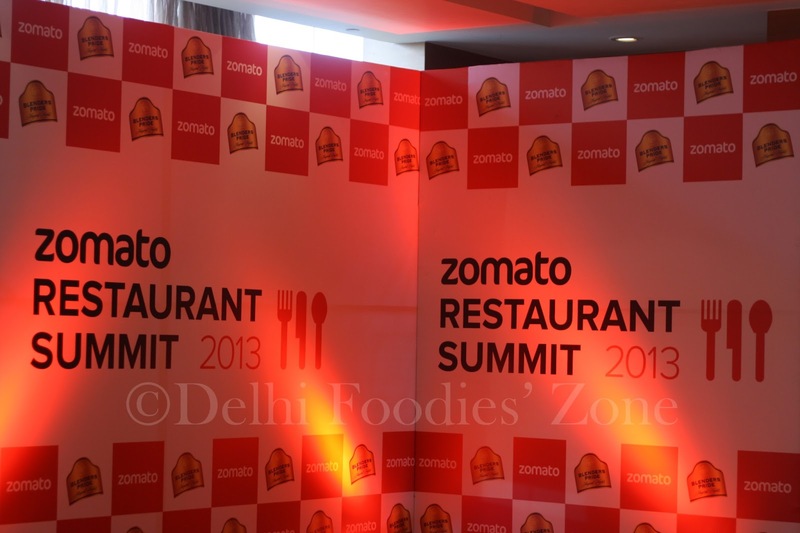 The food does need to look inviting for sure and it did! A delicious deal. Next came the Vegetable Char Siu buns (Rs 255) which were steamed bun dimsums with a lip smacking filling of barbecued veggies and minced ginger. You will fall in love with this one. The asparagus Cheung Fun (Rs 325)was a relevation. Skeeter liked it better than the ones she’s had at Yauatcha and they really stole the show. A rice noodle roll steamed to perfection with an aptly seasoned filling of asparagus and shiitake mushrooms, topped with light soy sauce. Take a bow! 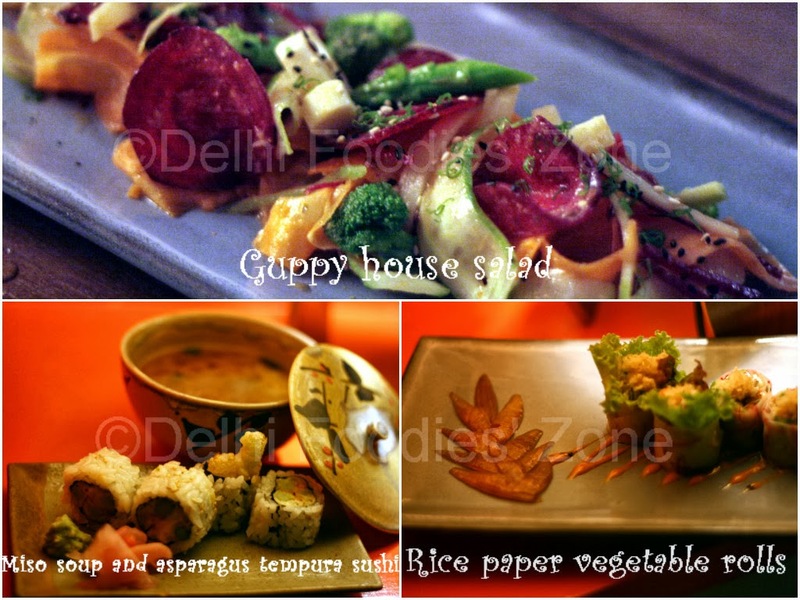 Skeeter also enjoyed the Lo mai gai or the Lotus leaf parcel with sticky rice and veggies(Rs 255). Glutinous sticky rice with mock duck (which was strangely missing or too scant to be noticed), veggies and shiitake mushrooms (that lent a mock meat flavour anyway) come wrapped in a Lotus leaf. These made for a meal in itself. A Cantonese Yumcha classic, these are worth pigging, Skeeter says! Besides, they have a range of tisanes (flower petal/herbal teas) which one can enjoy with the dimsums. 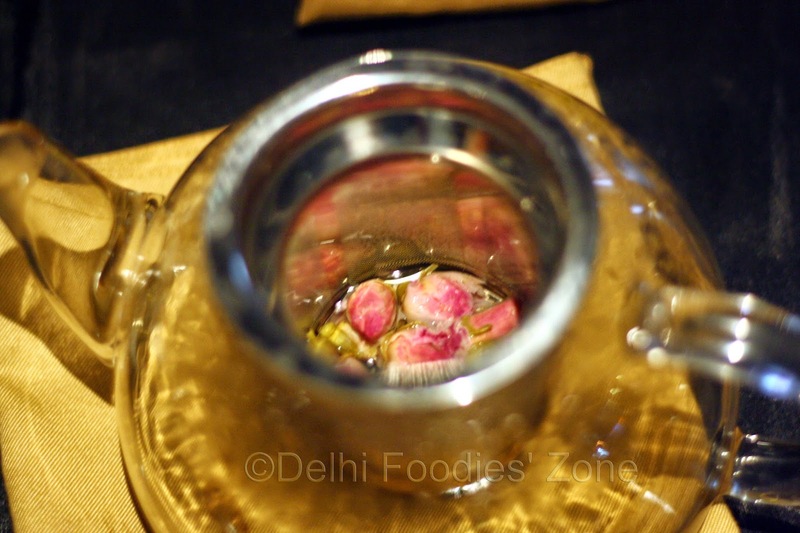 Try the Rose bud (Rs 175) and the Chrysanthemum tisanes (Rs 175) and come back and thank Skeeter for the reccos! 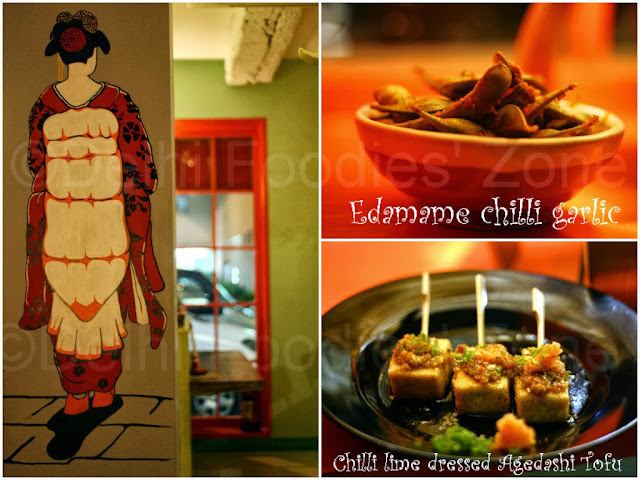 The teas are reasonably priced and make for a perfect pair with the dimsums. Skeeter also tried the Yam Phak Ruam Mit Krob (Rs 325) or the exotic crispy vegetable salad in a hot, sweet and sour dressing (Rs 325). The vegetables coated in a light tempura batter were fried and tossed in a tangy sauce. Another green bean salad in the most scrumptious peanut sauce was a Skeeter favourite. Having said all that, some things need attention. The tisanes stored in plastic jars were not pleasant to the eyes, considering they’ve spent reasonably in doing up the place. They need to invest in some nice looking jars for the tisanes. Skeeter also hopes they maintain their food quality for her to keep going back and enjoying Yumcha. 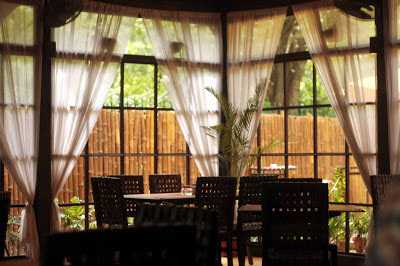 For the link to the menu, address and other details click here. 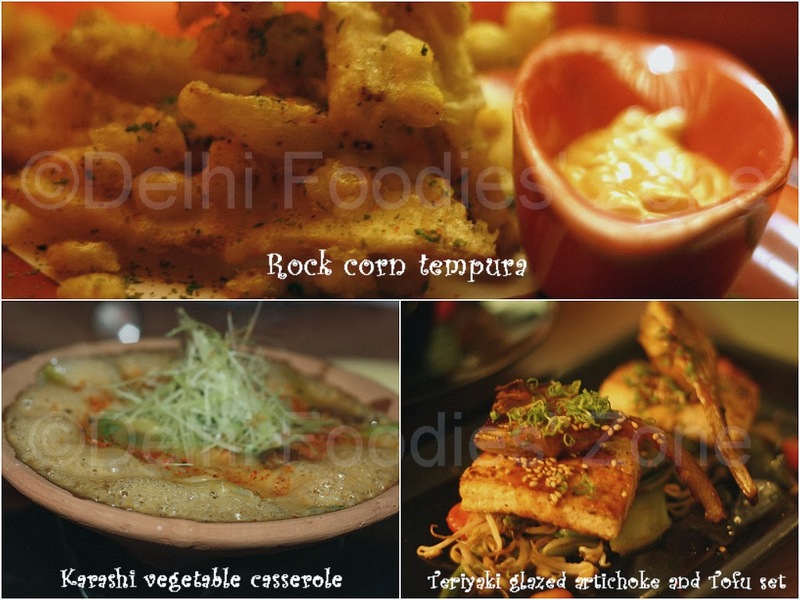 It has been a marvelous journey on Delhi Foodies’ Zone so far. Skeeter loves the appreciation mails, the queries and feedback that you guys keep sending every now and then. Keep them coming. It is fun to interact with you and this communication gives Skeeter a perspective on what you want to read and what you don’t. 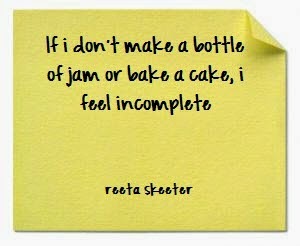 Today, Skeeter wants to share with you a really cute and heart-warming post-it that a dear friend sent across. Thank you! Skeeter’s dream Delhi house would have a lot of natural light, a lot of greens (with maybe a patch of thicket) and a patch of an organic kitchen garden. 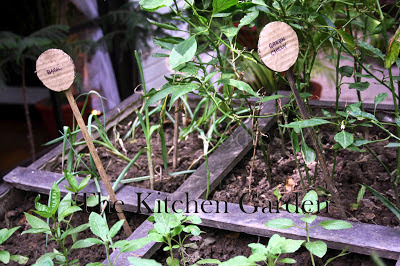 The kitchen garden would overlook a pebbled path with some bright garden umbrellas planted here and there for a nature-packed cuppa in the morning, a glorius lunch in the afternoon and a humble bar-be-que at night. 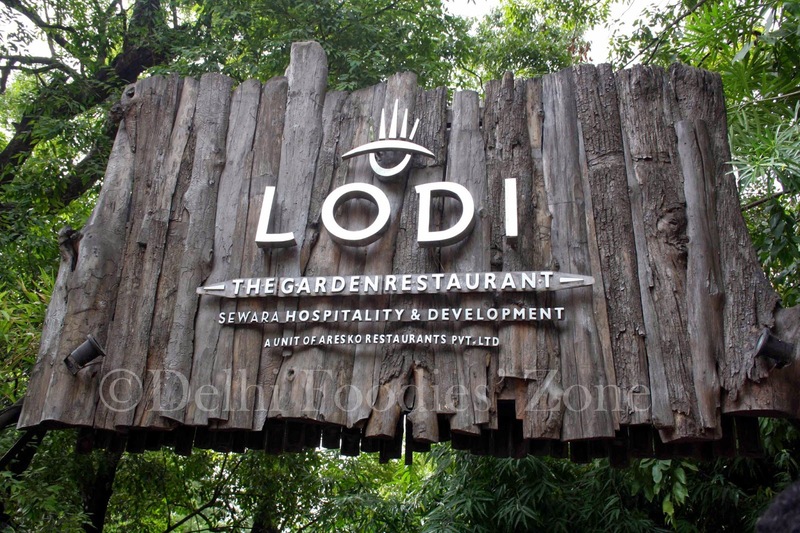 While all that may be a little far-fetched to call hers forever, Skeeter does sometimes hop, skip and jump to Lodi -The Garden Restaurant for a meal. Last Saturday, was one such occasion. A welcome shot of the seasonal mango panna perked Skeeter up as she flipped the pages of the menu. 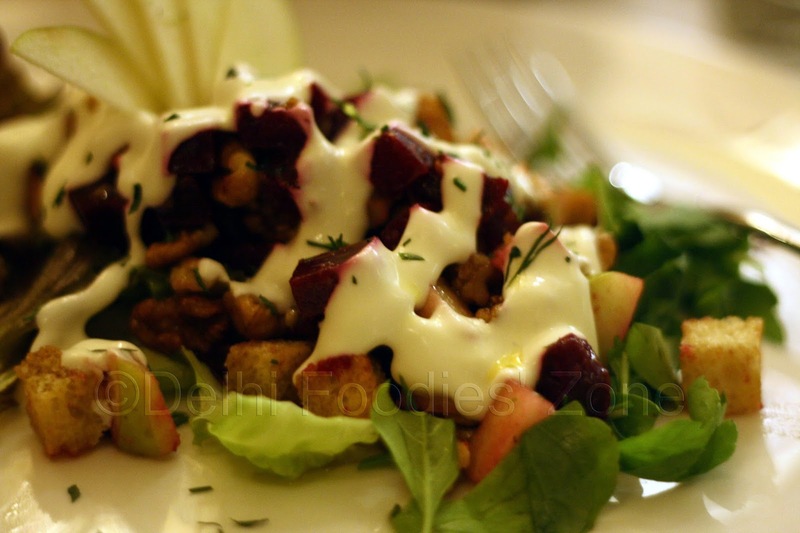 In no mood for a particularly heavy meal, Skeeter began with the Lodi greek salad with a lemon dressing (Rs 395). A salad can only be right (crisp and fresh) or wrong (overdressed and wilted) and this one was right. The salad portion was big with lettuce, bell peppers, assorted olives and some feta thrown in and tossed with a lemon dressing. 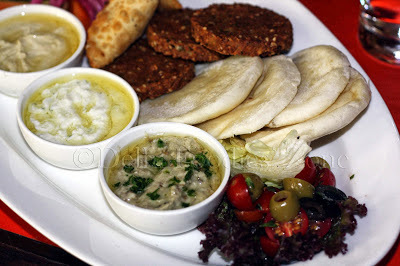 Skeets went on to have the Mezze platter (Rs 595) instead of a full fledged main course and was happy with her order. The Mezze came in an oval dish with fresh pita, hummus (a perfect blend of flavours), tzatziki (fresh and creamy) and baba ghanouj (just the right texture). Different preparations of the falafel always intrigue Skeeter. Some are too dry but taste good, some are soft and fluffy. The one at Lodi was shaped a tad different and took Skeeter back to the kuchas of Chandni Chowk where she has some of the best kalmi vadas (more on that later). The falafel tasted somewhat like the kalmi vadas and the texture was nice (neither too soft nor too hard). The accompanying spanakopita was nice and crisp on the outside, tender and bursting with flavour inside. Next came the dessert platter (yes a full dessert platter with a slice each of the sinful array of desserts). Skeeter picked the mango cheesecake. The cheesecake was nice in texture albeit a tad less flavourful, or so thought Skeeter. Dessert usually ends a meal, but Skeeter couldn’t leave without sampling some of the products Lodi stocks at their Deli. The onion jam was deelish. A must buy, especially when you lead a hectic life and would want to save yourself all the trouble and labour that goes into making it. Skeeter, of course, makes it at home and it is a big hit. Also, try their organic mustard oil (Rs 200). Skeeter had been looking for the same for a while and found it here. Apart from these there are some pates, dips, pickles, preserves, flavoured oils and salad dressings to choose from. Skeeter has heard that much of the food you eat at Lodi, is grown at the farms owned by them and is organic. 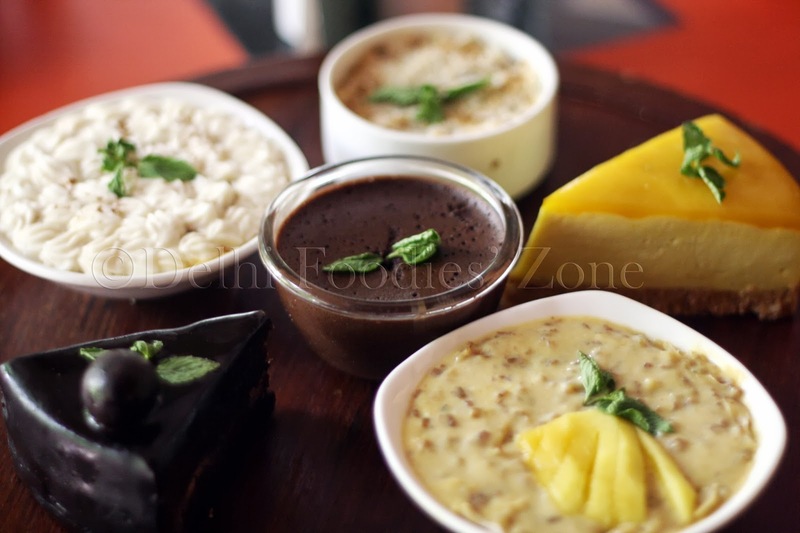 The mangoes used in the cheesecake were organic as well. That the tribe of restaurants in Delhi is slowly but steadily moving towards Organic, is a sign of good food returning to our tables. 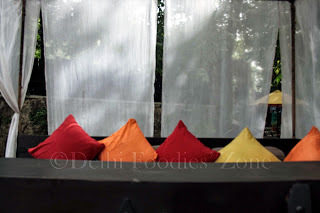 And the last word: do try out the carefully crafted breakfast menu (popular among with expats in Delhi and backpackers on a stopover). 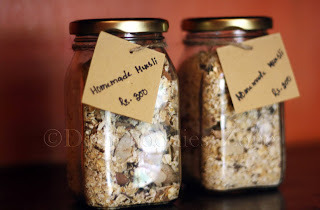 They have some interesting tea blends, coffees, buttermilk, juices, jams, porridge, waffles, pancakes, muesli et al. 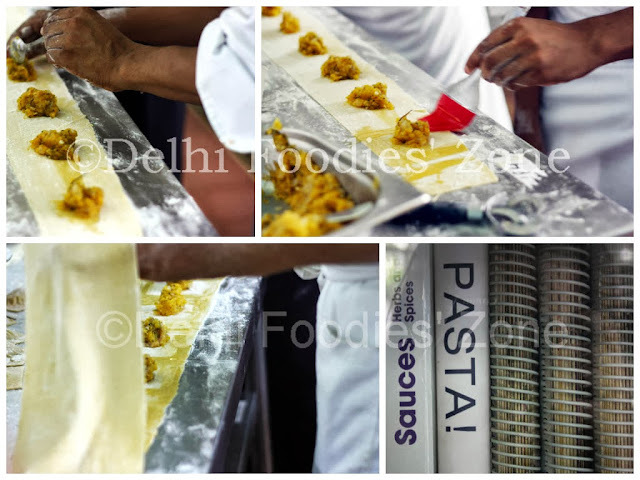 It is mid summer in Delhi and Skeeter’s pasta love is beginning to warm up. 20 minute pasta dinners that can double up as breakfasts are the best way to ensure least time spent in the kitchen. 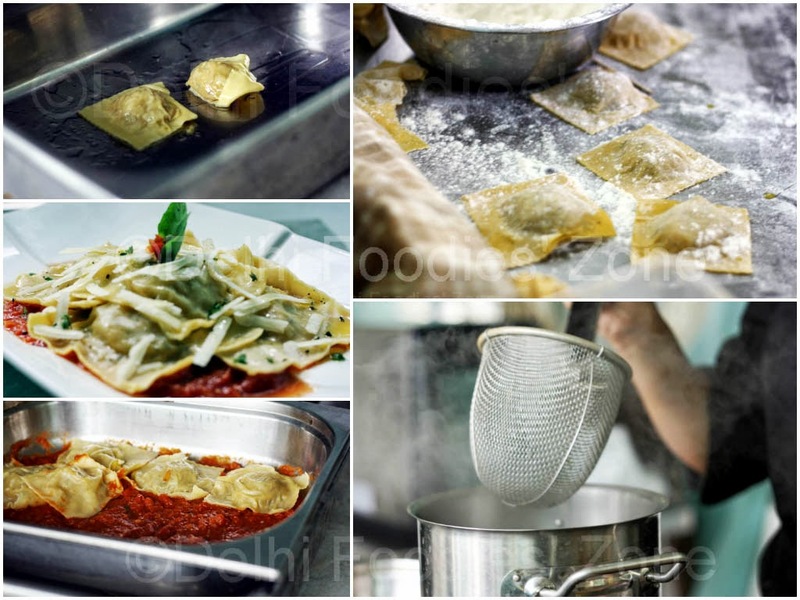 Pasta thoughts led Skeeter back to a lunch with chef David Rocco, who is widely acclaimed for his Italian style of cooking. Though this luncheon happened much earlier, if you can recall an experience with profound thoughts, you can bet it was a great one. 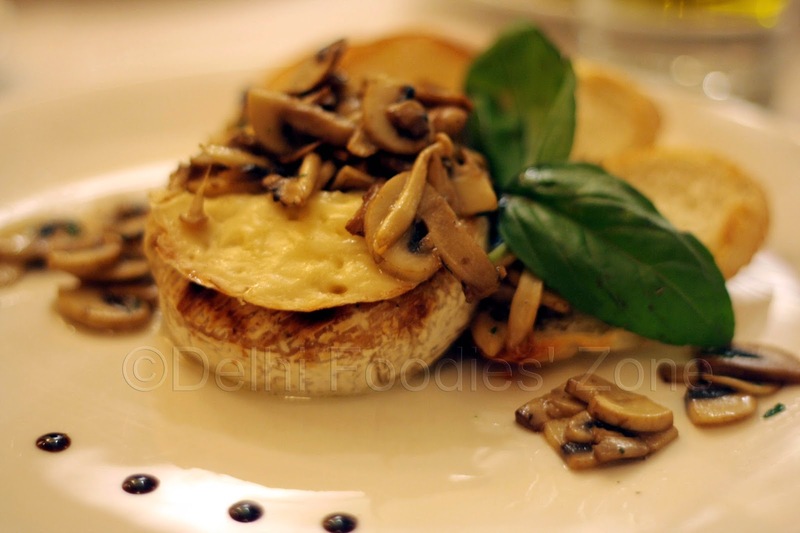 A bunch of bloggers gathered at West View, ITC Maurya for a meetup with the chef who claims he’s not a chef, he’s Italian! There are a few things that would draw one to David Rocco’s food shows. There is some country music thrown in the shows for sure, David loves interacting with locals and trying out their recipes and all the shows are shot so well that you almost want to be at the place which Rocco is showcasing. Cut to the event. Predictably, the conversations revolved around food. 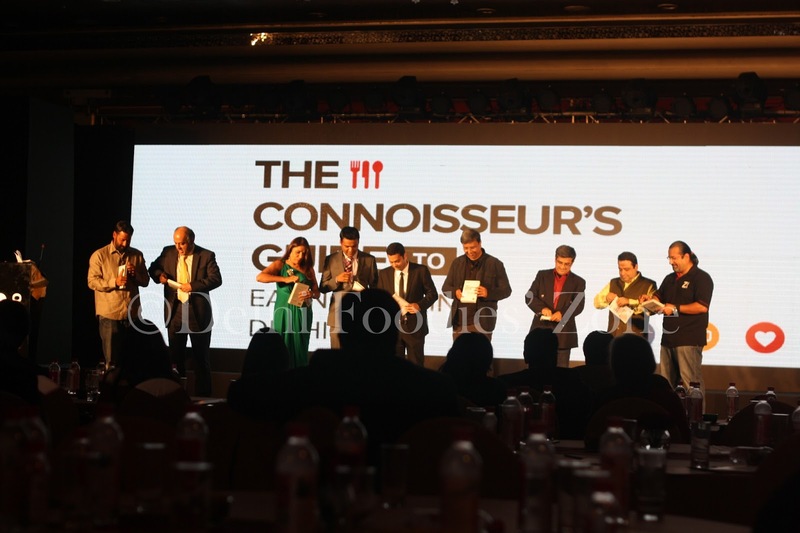 While David Rocco told us about his tryst with Indian food and Indian oils, we quizzed him about which olive oil should one really pick up. David told us that he loved the unique flavour and the pungency of Mustard oil, though his loyalties still lie with Olive oil. He went through the whole cycle of attaining mustard oil- from farm to bottle. Skeeter personally prefers mustard oil and all things mustard. 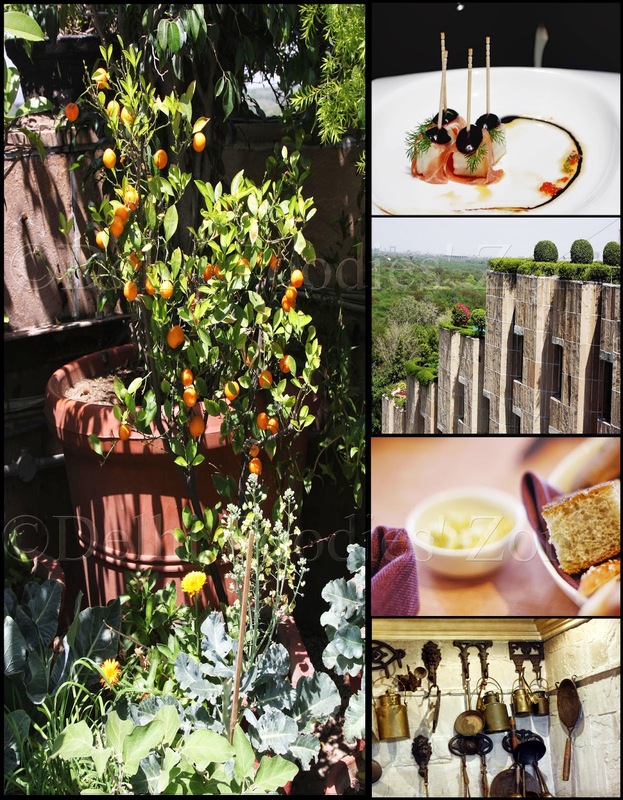 Once a person realises the depth and flavour mutsard oil can give to a dish, there is no looking back. David also shared how Italians take some days off work and go olive-picking and they are paid handsomely in hold your breadth: Olive oil! Ain’t that cool now? It is these nuggets from various travel tales of a person that make great stories and great experiences. Having arrived at the hotel a little early, Skeeter and Anita got time to soak in one of the best views of Delhi from the rooftop balcony of West View. Delhi never appeared prettier and so green. We were joined by other bloggers soon. David joined us at the table a little later. Though David didn’t cook for us that day, the recipes of the food that we had at West View that day, were all his. Chef Manisha Bhasin of ITC also joined the table, adding another star to the conversation. 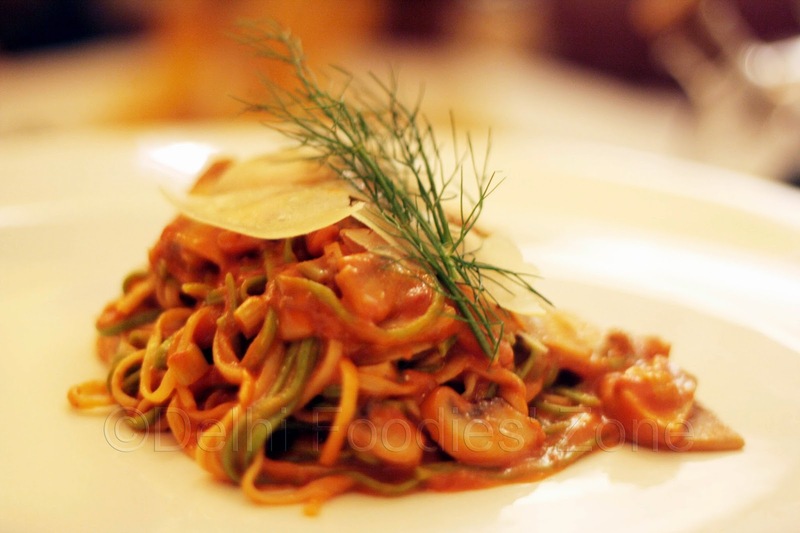 We began with a Neapolitan style pasta with chunks of eggplant and mozarella sauce (Rigatoni con Pomodori e Melanzane) which was simple and delicious. I could have had endless helpings of the same. It was paired with Fratelli Sauvignon blanc. Skeeter like Fratelli from the selection of Indian wines on offer at wine stores. Next came the Beetroot Risotto, so well plated that Skeets could just laminate it and frame it on her wall. Skeets managed to do better. She took pictures of it. Grin. Perfect pink in colour, the Risotto came with such gorgeous sides of broccoli doused in olive oil and the cutest baby carrots for company. It was paired with Fratelli Sangiovese. Skeeter loved the bite of the Risotto to bits. Perfectly cooked. 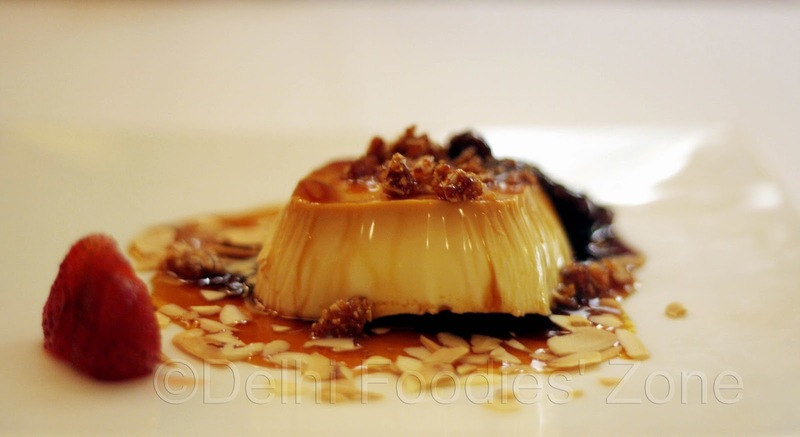 Next came the Dolce, which should’ve been the star of the meal, but were sorely disappointing. Will skip writing about it. All said, it was an afternoon well spent. 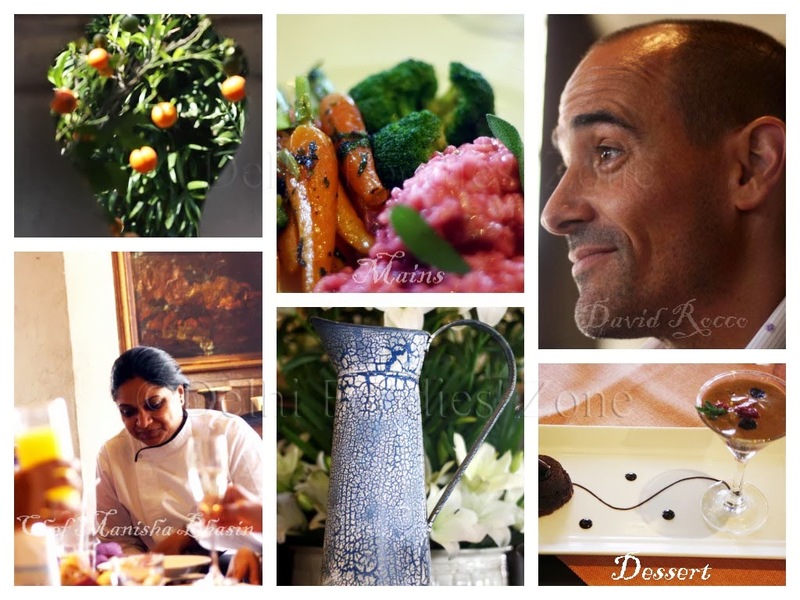 David Rocco is a charming and talented chef. Oops Italian! 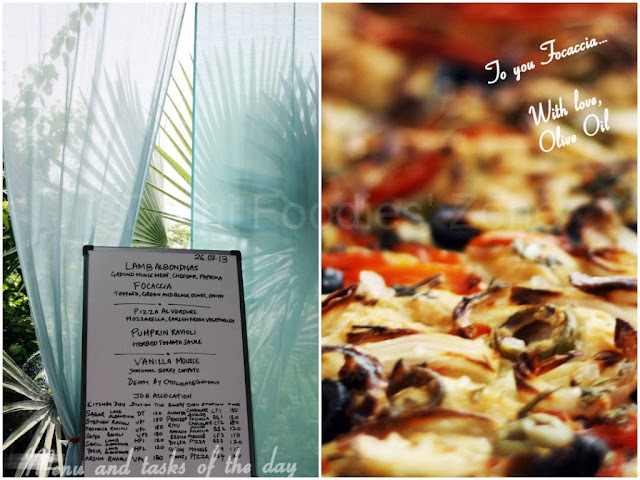 From plucking and eating lemons, skin on in Amalfi episodes to tossing pizzas with two chefs in another episode and then the drunken spaghetti episode, he’s fun on TV and in real life. He was in India to shoot for the Indian chapter of his show, so we will get to see more of him on TV, and that too in familiar locales. Skeeter is looking forward to it! It was fun meeting Ruchira, Deeba and Sangeeta again.